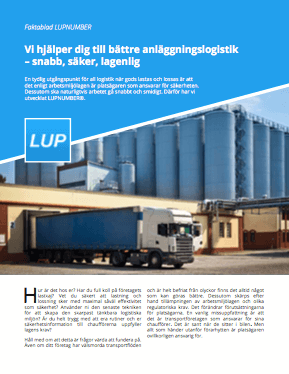 With LUPNUMBER®, you can more than halve the risk of serious accidents when handling goods at your facility. As you probably know, you are as a facility owner by law required to inform about the safety routines that apply to your site. 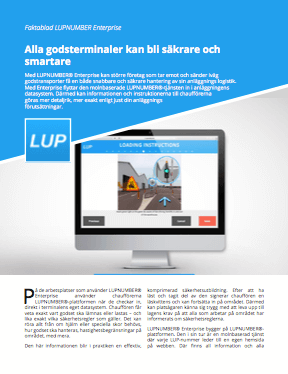 LUPNUMBER® is a visitor training system that will help you reach out with your safety routines and operating procedures to transport companies and individual truck drivers. You can more than halve the number of incidents. You meet the legal requirements and you get safer, smarter on-site logistics. 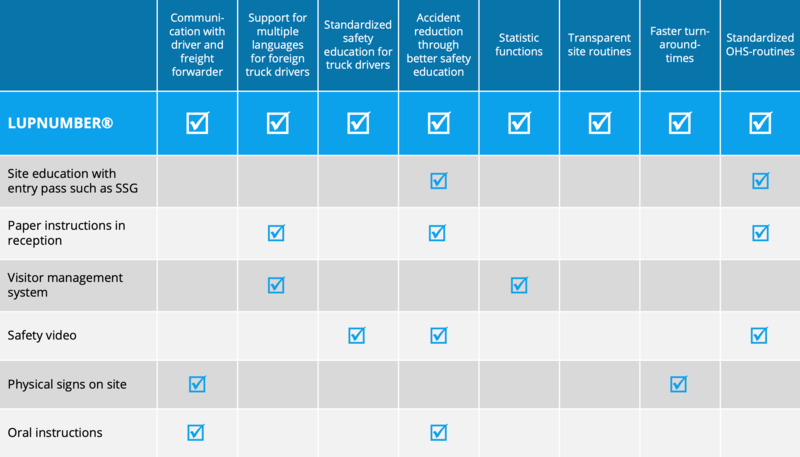 Truck drivers unfortunately top the statistics on serious workplace accidents. 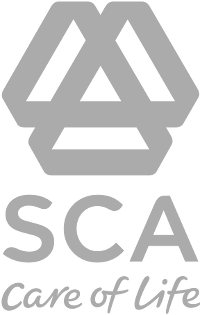 More than half of the serious accidents occur during loading/unloading on industrial sites. A common misconception is that it is the transport company that is responsible for their drivers. It's true when they are driving on the road. But the site owner is unconditionally responsible for everything that happens inside of the gates of the site. 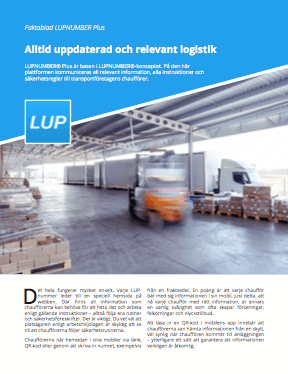 Therefore, prominent industrial companies use LUPNUMBER® to avoid accidents and gets safer, smarter on-site logistics. When the drivers arrive at the site, they check in. They choose their language on a screen and review the safety rules that apply at the site. It can be helmet requirements or safety shoes needed, how to handle the goods, speed limits in the area and more. The information is also available online. 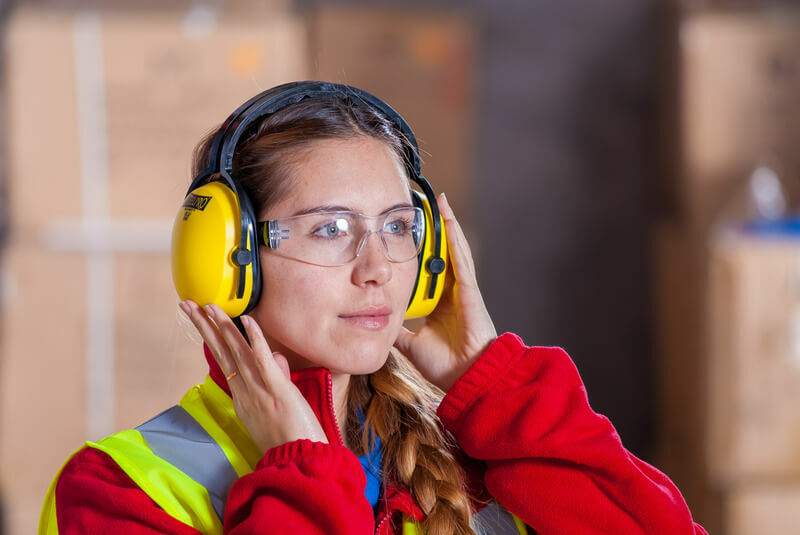 This information effectively becomes a brief and effective safety training. After reading and signing, the driver can continue to enter the area. 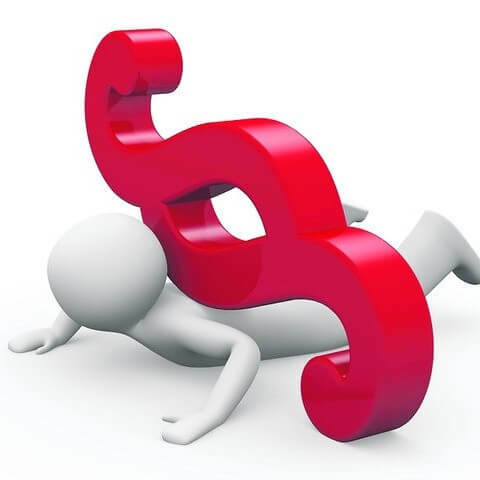 What are the effects of LUPNUMBER? The best way to avoid accidents is to work preventively with safety. 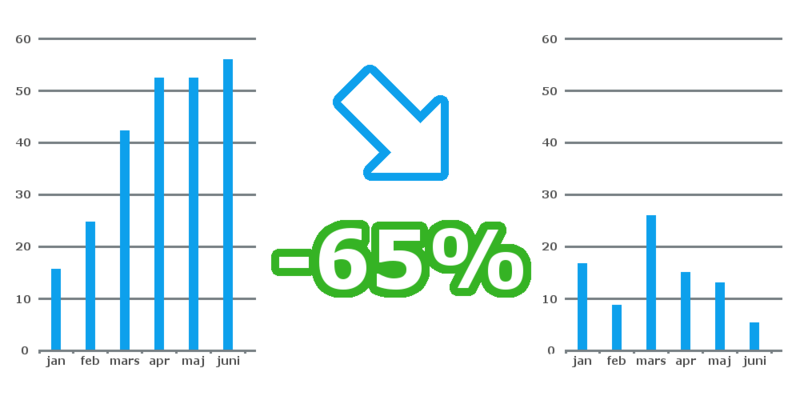 By reducing the number of deviations and incidents, risks can be reduced and serious accidents avoided. 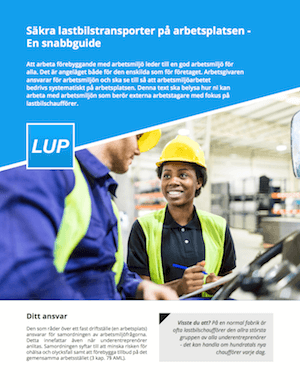 LUPNUMBER® is used by reputable international industrial companies. They lower their reported incidents by up to 65 percent! This means that they get safer, smarter on-site logistics. 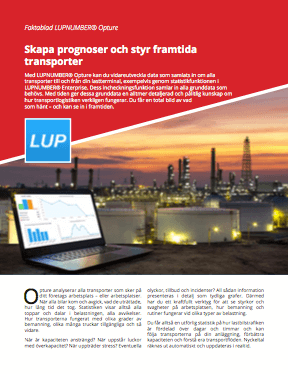 LUPNUMBER® has been developed together with prominent industrial companies to increase safety, reduce risks and secure traffic on-site. No one else in the market can offer the complete solution you get in LUPNUMBER®. 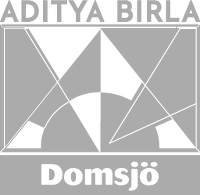 Here you can download our product sheets (Swedish only). Please watch our short product films in English! Click on the product sheet below that interest you to read more.